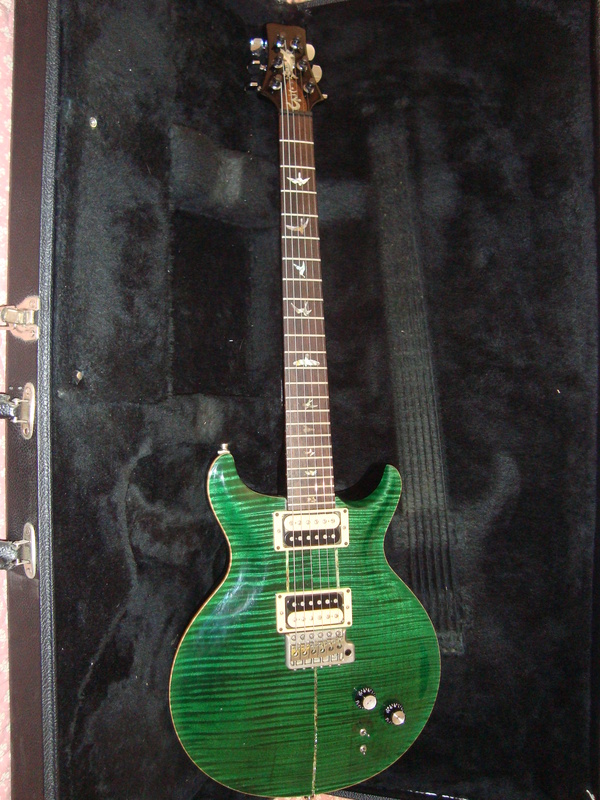 Santana I, Other Shape Guitar from PRS. decibel82's review"The first of 3 Good Guitar make for Carlos Santana..."
I think really this guitar is for me the best off Santana Model because the two mini toggles for select the zebra coils !!! Everything is good the only differences is the finger board. "What a great guitar"thank you G.G. 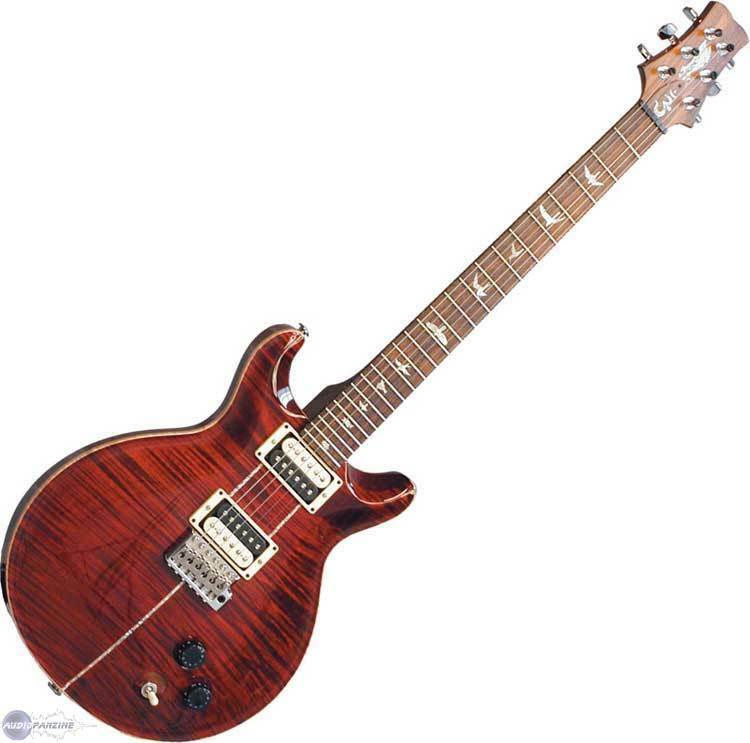 This Paul Reed Smith guitar is an American made guitar, a Carlos Santana signature guitar that is supposedly built to his exact specifications. 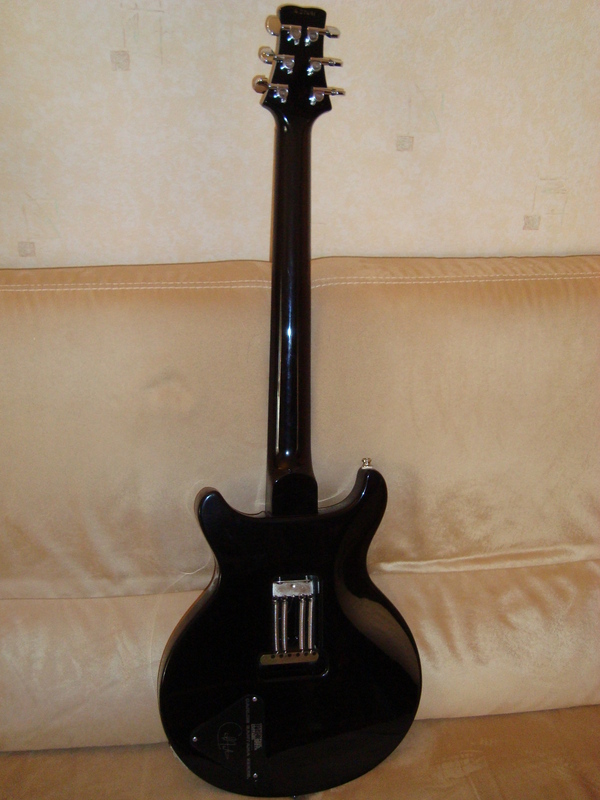 The guitar has a tremolo bridge and a mahogany neck with a rosewood fretboard. The guitar has two Santana humbucker pickups, a volume and tone knob, and a three way selector switch which is located far behind the bridge. The guitar has 24 frets. This guitar plays really well, as do most guitars by PRS. It's a heavier guitar, not quite as heavy as a Les Paul but more weight than a Strat. The guitar feels and plays really well and isn't too difficult to move around. 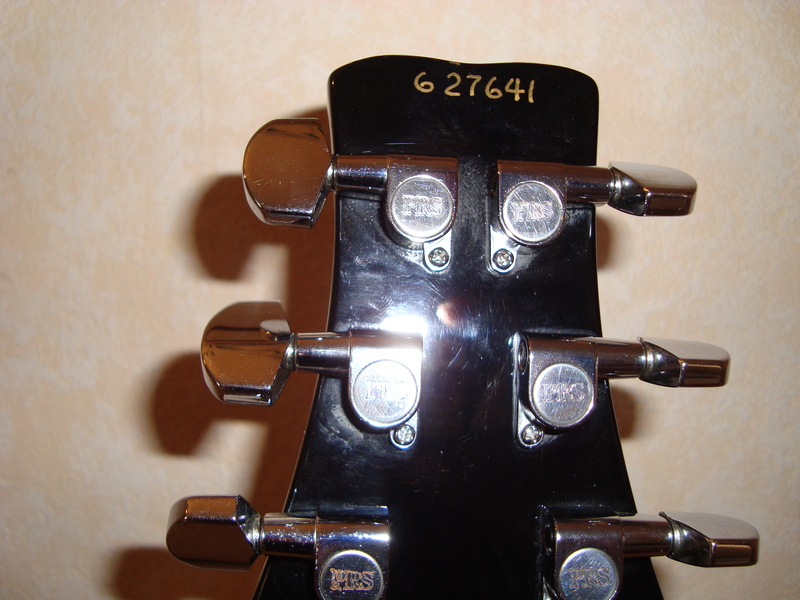 The guitar that I played was in great shape, stable, good action, and overall a comfortable instrument. 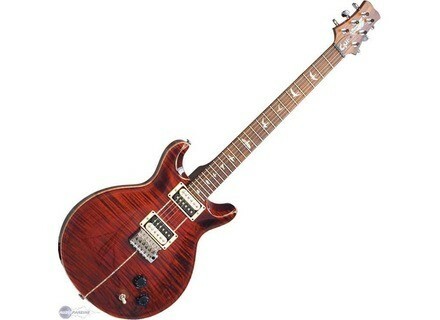 Honestly though, I don't know if it's quite as comfortable as some nicer PRS's, which in my opinion, feel better than almost any electric guitar out there. This guitar, for some reason, doesn't seem real to me. By that I mean, I don't think that this is the actual guitar that Santana plays. I think that he endorsed this product purely for monetary reasons. 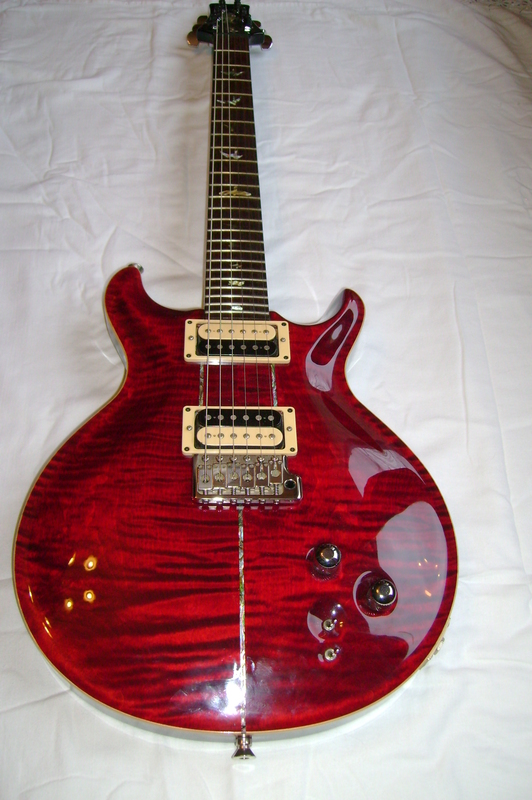 PRS sells these for far cheaper than some of their other models, guitars which, in my opinion, are far superior. The tone just isn't there on this one, the other PRS's give you far better sustain overall, and they ring with a great middle range that really cuts through. They also set you free to really wail, this one just falls a little short with it's generally bland tone. I know I'm not going to sound exactly like Santana no matter what I buy, but I feel like this guitar does a pretty weak job in even approximating his sound. It just feels like a subpar guitar from an otherwise outstanding manufacturer. Since the PRS tones aren't exactly my favorite (but are quite nice in their own right), I can't endorse this one as much as the others. This guitar, unlike most PRS's, isn't too expensive. I can't say I wouldn't recommend it to other people, especially since most of my peers wouldn't be able to buy a nicer PRS without some serious saving. However, I realized a long time ago that it would be worth it to eventually just buy a nicer one, it will pay off more in the long run. If it wasn't a PRS, and it didn't have Santana's name on it, I doubt I'd be so disappointed with it, which is why I'm giving it an overall high score. But it feels to me like PRS is putting out lesser instruments to increase their sales, and using Santana's name as a marketing ploy more than a sign of the instrument's quality.